One way of breaking through the traditional class, ethnic and gender-specific parameters of backstage disciplines is by apprenticeships, and few organisations have done this more successfully than the Royal Opera House. 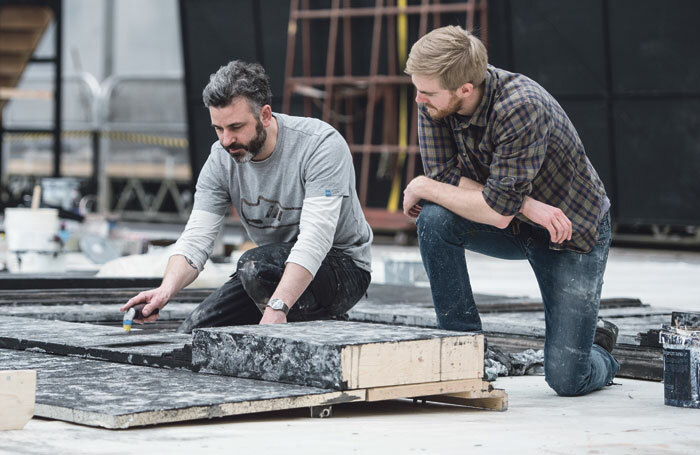 Now in its 10th year, the two-year ROH apprenticeship scheme has introduced more than 50 young people to a wide variety of technical, craft and stage management skills. A large percentage of them stay in the business after the two years are up. The 300-strong backstage workforce is frequently augmented by casuals and freelances, many of whom are former ROH apprentices. However, the ROH gives no assurances that there will be work available at the conclusion of the apprenticeship. “In terms of using them later on as casuals or freelancers, the fact that they know their way around our buildings is clearly an asset,” says Bendy Ashfield, ROH apprenticeship manager since the scheme started in 2007. This year, there were 700 applications for six apprenticeship places. Successful applicants will be paid the national living wage (£7.20), rising by 2.5% on completing the first year, and they are expected to work full-time, with some unsocial hours. What kind of young people does the ROH look for? “Each applicant specifies which skill they’re interested in,” says Ashfield, “so we expect them to show an interest in that subject, and to have engaged with it to some extent, either at home or at school. We need enthusiasm and a level of commitment, because they are going to be part of our workforce. They also need a commitment to learning, because the more they put in, the more they’ll get out. “We don’t have a quota system as such, but one of the main aims of the scheme is to give a greater variety of people access to the industry, so diversity in its broadest sense is a factor. A lot of backstage departments are traditionally either male or female dominated, so we’re looking to mix that up more, maybe have women doing carpentry and men doing costumes. Last year, we had an Asian woman who graduated as a stage engineer. I became interested in theatre at my school, St Andrew’s, in Croydon, where I worked the followspot in a production of Hairspray and did a bit of acting. I did a GCSE in technical theatre, and then a technical theatre course at the Brit School. I didn’t go to the theatre when I was growing up. I was the only one in my family who was interested in theatre. I applied for the ROH apprenticeship online. There were 164 people who applied online. I never thought I’d get it. I was really surprised when they invited me back the same day. I like being involved in all the aspects of backstage – lighting, sound, stage management, construction – and knowing that what you’re doing is important to the final production. You’re learning new stuff all the time. Sometimes you’re working a 13-hour day, so there isn’t much time for a social life. But it doesn’t matter if you enjoy what you’re doing. Eventually, I think I’d like to go into stage management or production management, and the best way to achieve that is to learn all the backstage disciplines. I became interested in theatre when I lived in Liverpool, and applied for a stage management and theatre technical course at the City of Liverpool College. I never expected to get an interview for the ROH apprenticeship in a million years. I was the last of the shortlisted people to be interviewed. A week later, they asked me back to do a work trial, then they called me the following day to say I’d got it. I’m sharing a flat in Catford with a friend from college. It’s a struggle financially, but it’s doable. For the past week and a half, I’ve been with the Linbury team at Wilton’s Music Hall working on Oreste. It’s more exciting and fun than lighting systems, which is mostly about fixing things. Watching professional technicians think outside the box at Wilton’s, which doesn’t have the resources of the ROH, has been fascinating. I suffer from anxiety, so moving down to London was a big deal for me. The apprenticeship has definitely helped. Knowing that people are rooting for you makes a huge difference. I did fine art at Wimbledon College of Arts for three years, followed by a postgraduate diploma at the Royal Academy Schools, followed by a job as artist-in-residence at Sevenoaks School in Kent, where I helped out with some of its stage productions. I came across the ROH apprenticeships on the internet. I wasn’t sure if they’d want someone with two art degrees, but they said it was okay for someone wanting to do the scenic art apprenticeship because I’d already have all the bread-and-butter skills, such as drawing, painting, priming, mixing colours and so on. 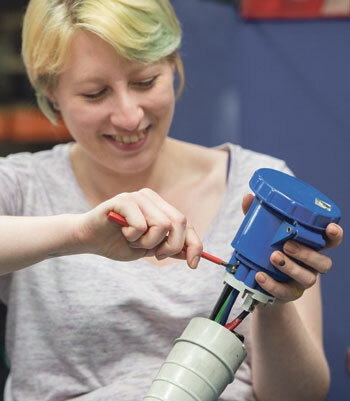 I’m based at the ROH workshops in Thurrock, with five other apprentices. You tend to work with everyone at various times, and there is usually someone in an informal mentor role. It’s very open and there is a lot of communication between people. Our mentors are keen for us to work with up-and-coming designers. I’m currently helping to paint a 9-metre-high backcloth for a backlit tree for Otello. There is a lot of practical stuff, such as measuring out a cloth on the floor, working out scale, using a spray gun. I’ve learnt how to work with brushes attached to sticks, how to draw and paint on the floor, about different textures and wood-graining. I’ve been on some short practical courses at RADA. Some of the others go off to college one day a week. You’re always learning. I live in Sevenoaks because I can drive to work, the cost of living is cheaper than living in London, and I prefer somewhere quieter. The hours are fairly consistent, 8am to 4.15pm, Monday to Friday, rarely weekends. It equips you with the skills to be able to get jobs when you’ve finished. When you’re working alongside people for two years, you make friends and that helps you to establish a professional network. I have my own studio next door to the ROH warehouse in Thurrock where I paint in the evenings and at weekends. I still exhibit my work. I’ve been lucky enough to find two things that are compatible for me – doing the scenic stuff for ROH and doing my own painting. It couldn’t be a better arrangement for me.